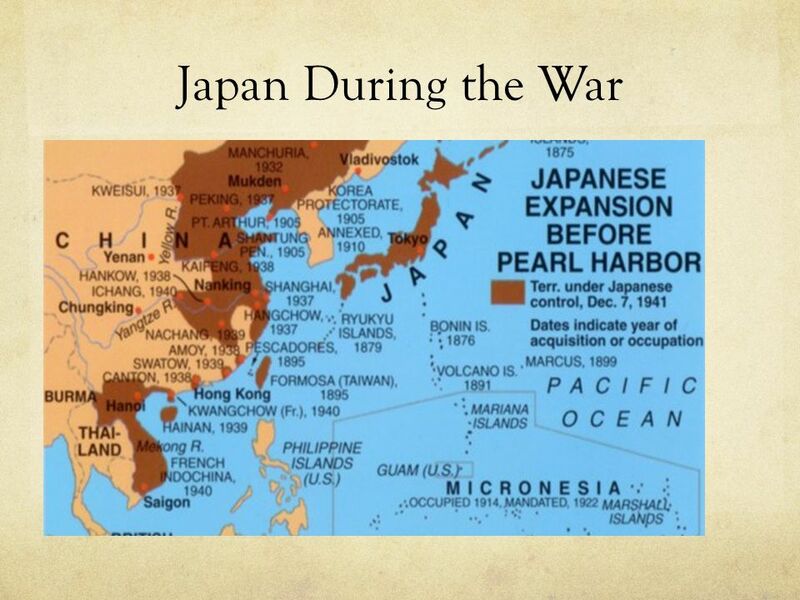 World War II Axis and Allies Axis Powers: Germany Japan Italy …more Allied Powers: United States England Russia China …more. 11 1933 Adolf Hitler, Nazi party leader, is Chancellor of Germany. He quickly transformed the Weimar Republic into the Third Reich. Which is a single party dictatorship that is based on Totalitarian and autocratic ideals of the National Socialism. 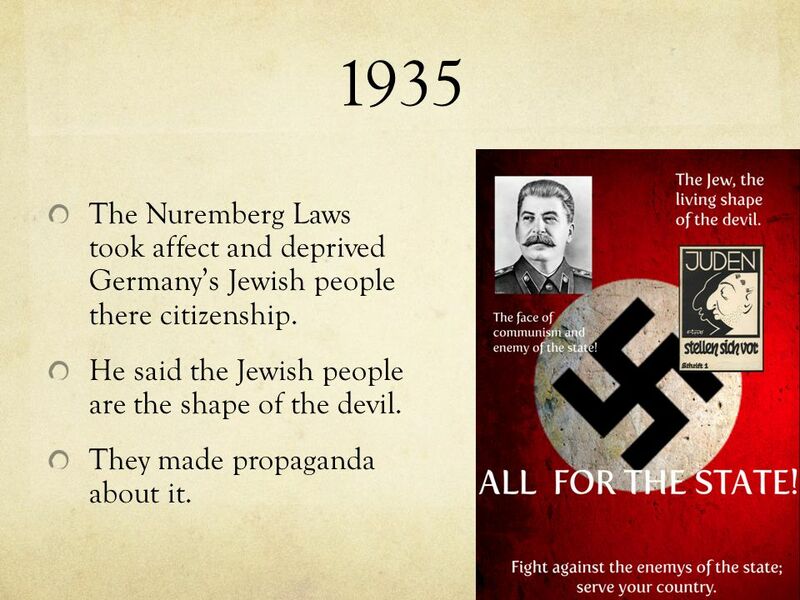 12 1935 The Nuremberg Laws took affect and deprived Germany’s Jewish people there citizenship. He said the Jewish people are the shape of the devil. 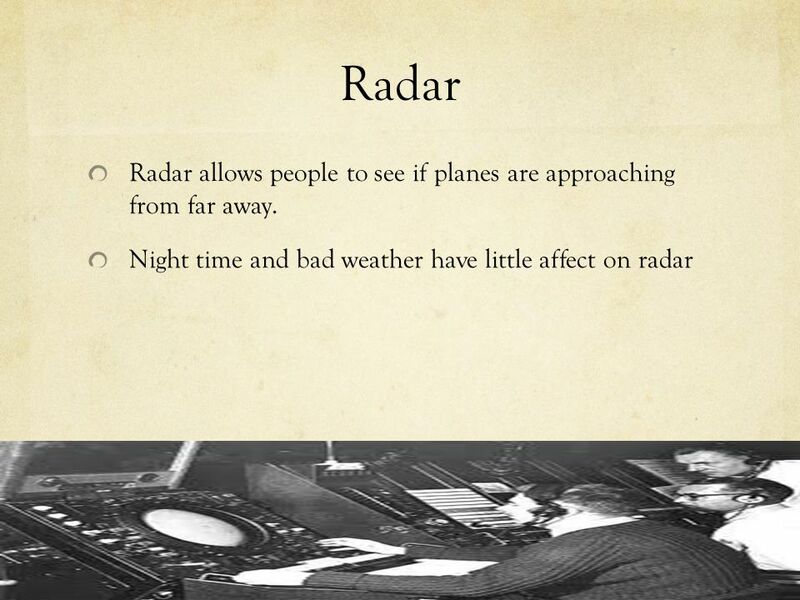 They made propaganda about it. 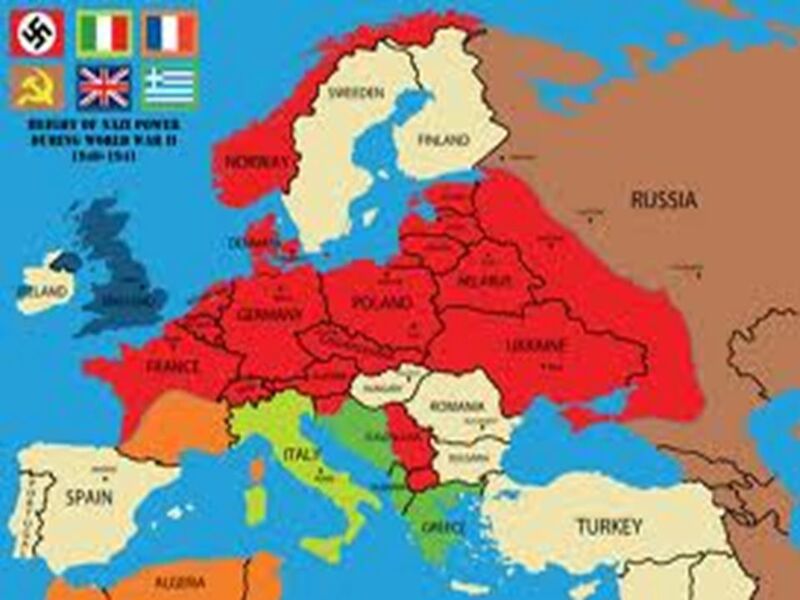 13 1938 The Munich Pact hands over one third of Czechoslovakia in the Sudetenland to Germany. 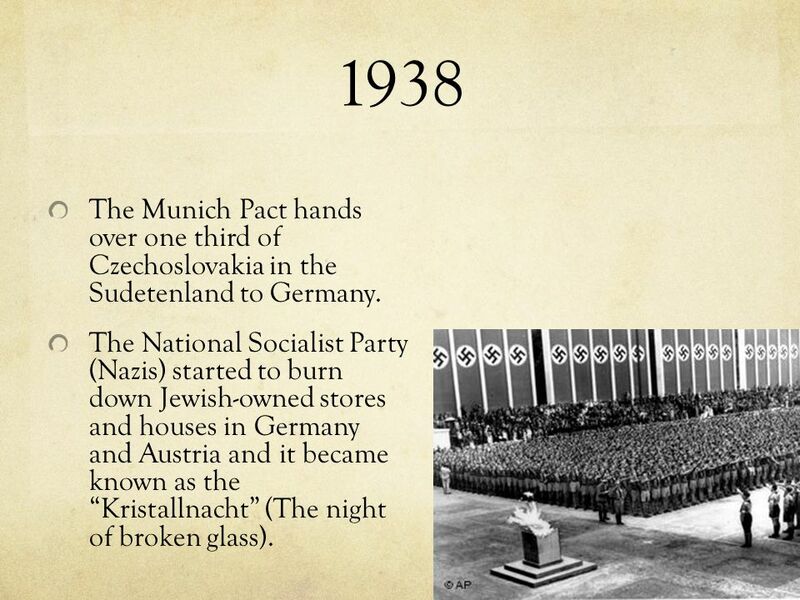 The National Socialist Party (Nazis) started to burn down Jewish-owned stores and houses in Germany and Austria and it became known as the “Kristallnacht” (The night of broken glass). 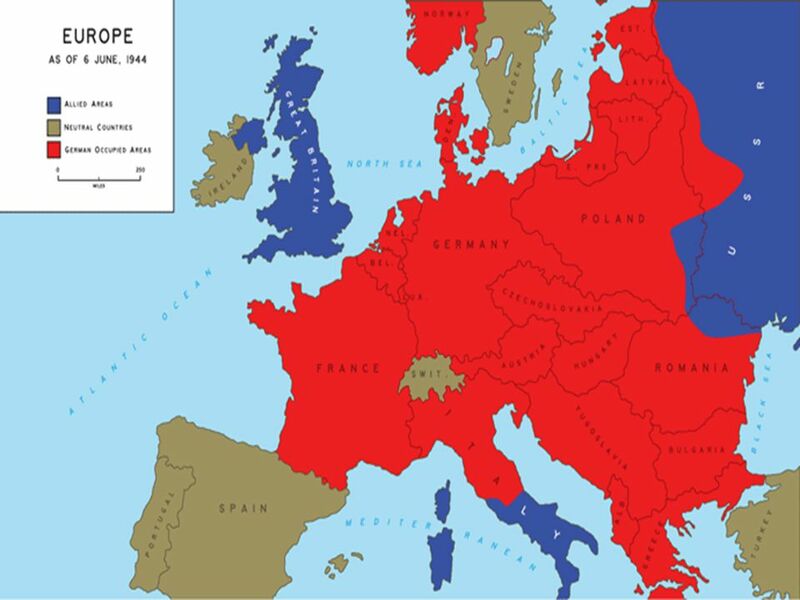 14 1939 Germany and the Soviet Union signed a non- aggression pact a few days before the war started. 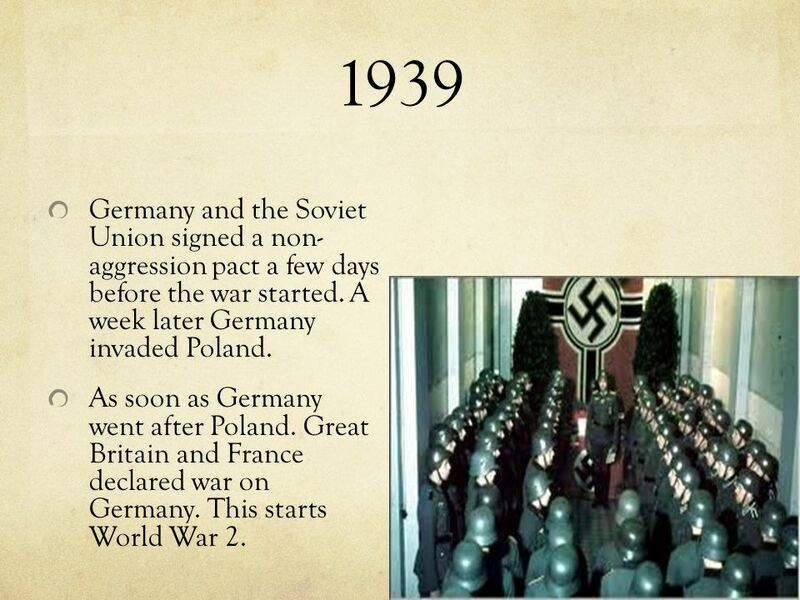 A week later Germany invaded Poland. As soon as Germany went after Poland. Great Britain and France declared war on Germany. 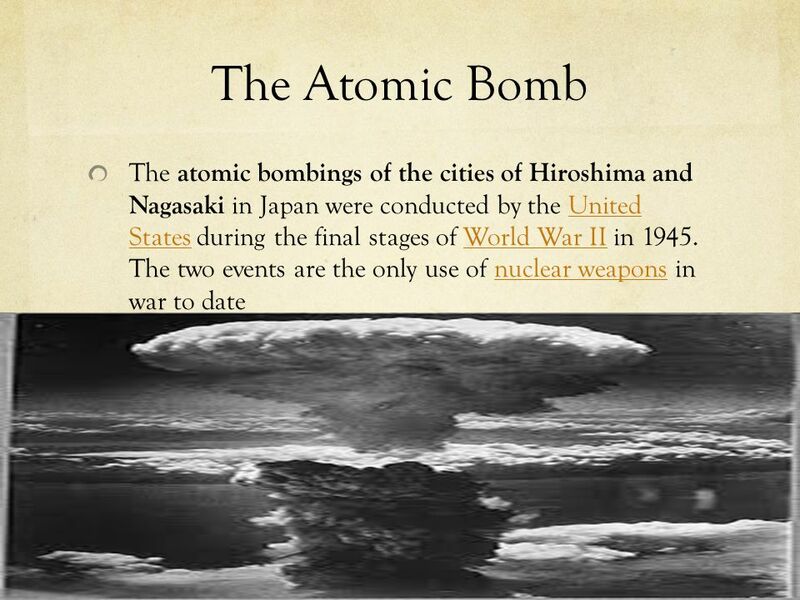 This starts World War 2. 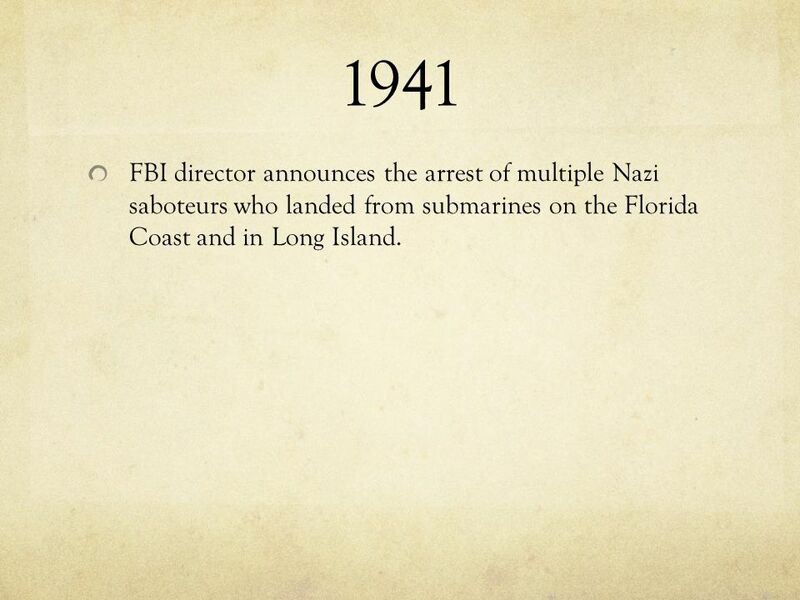 15 1941 FBI director announces the arrest of multiple Nazi saboteurs who landed from submarines on the Florida Coast and in Long Island. 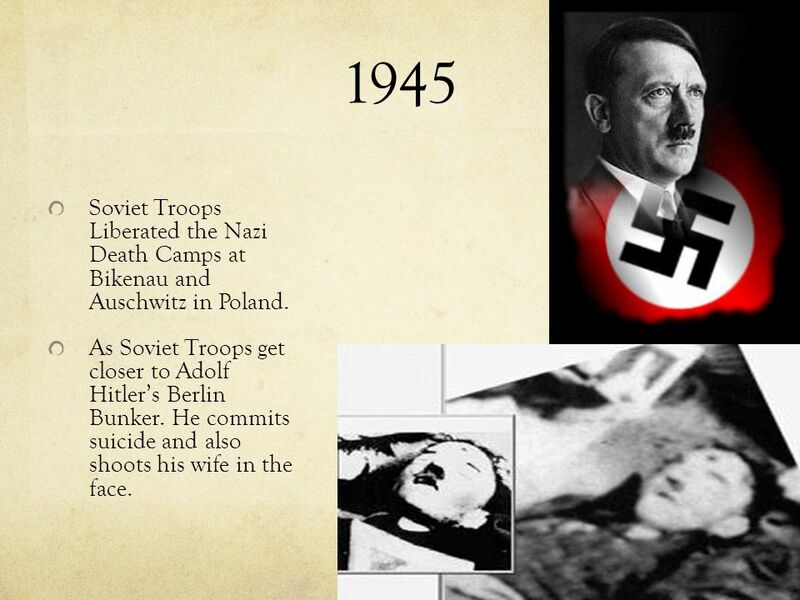 16 1945 Soviet Troops Liberated the Nazi Death Camps at Bikenau and Auschwitz in Poland. As Soviet Troops get closer to Adolf Hitler’s Berlin Bunker. He commits suicide and also shoots his wife in the face. 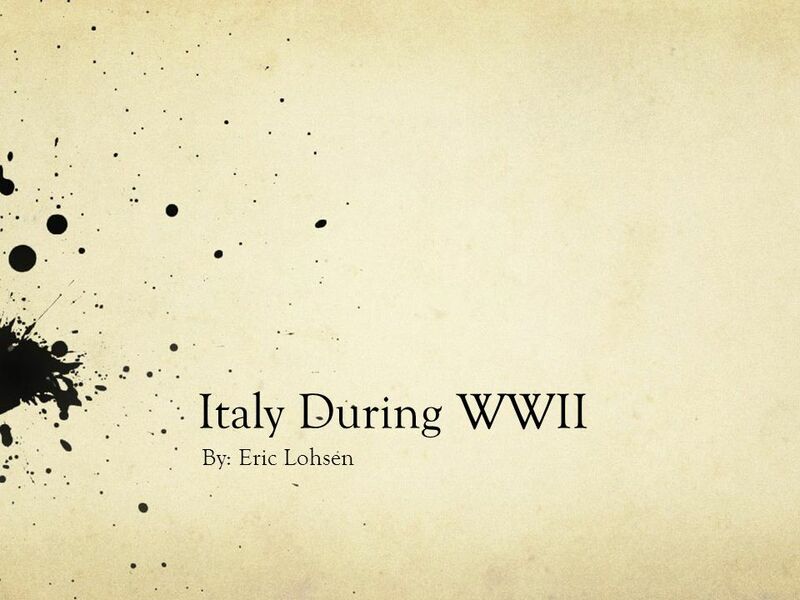 19 Timeline of Italy during WWII 1940 – Italy enters WWII on Germans side. 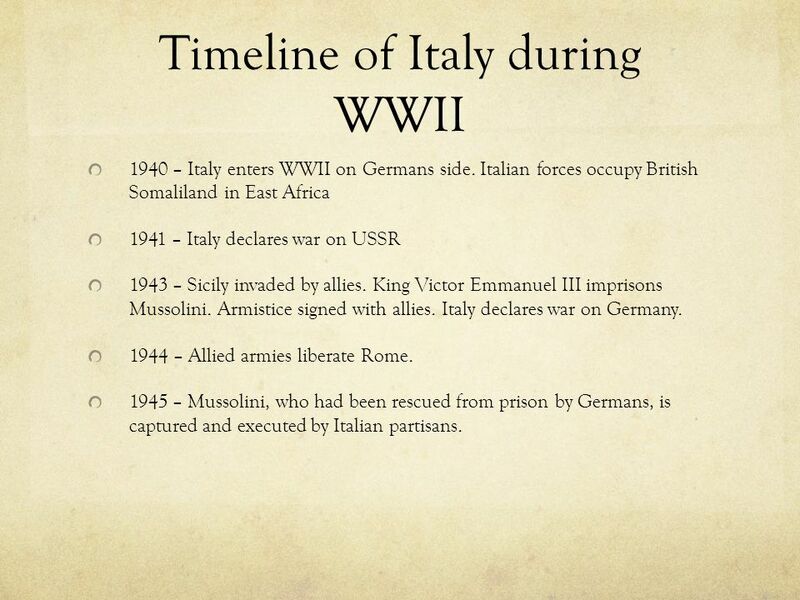 Italian forces occupy British Somaliland in East Africa 1941 – Italy declares war on USSR 1943 – Sicily invaded by allies. King Victor Emmanuel III imprisons Mussolini. 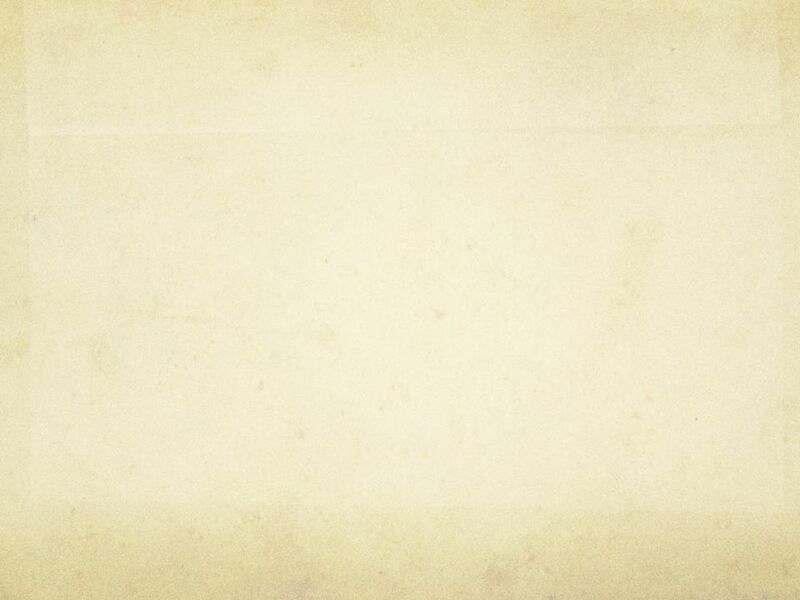 Armistice signed with allies. 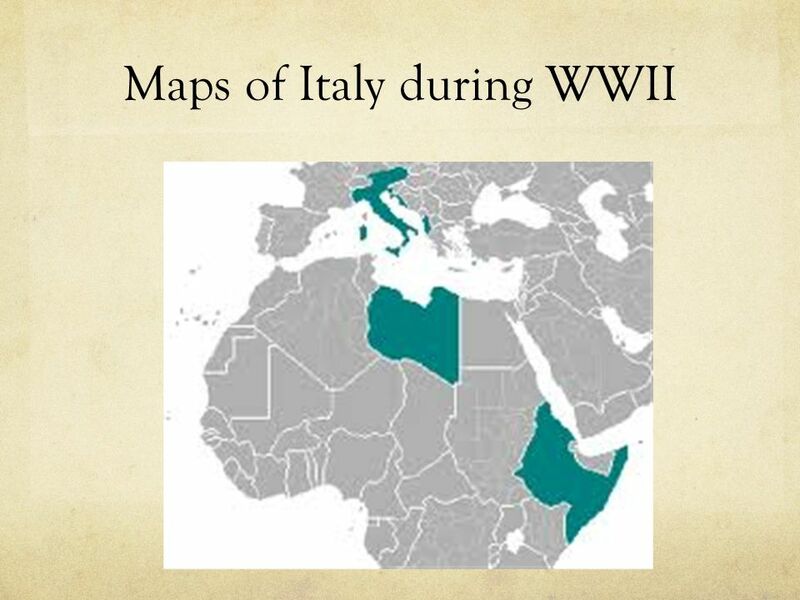 Italy declares war on Germany. 1944 – Allied armies liberate Rome. 1945 – Mussolini, who had been rescued from prison by Germans, is captured and executed by Italian partisans. 20 Who Was Their Leader? 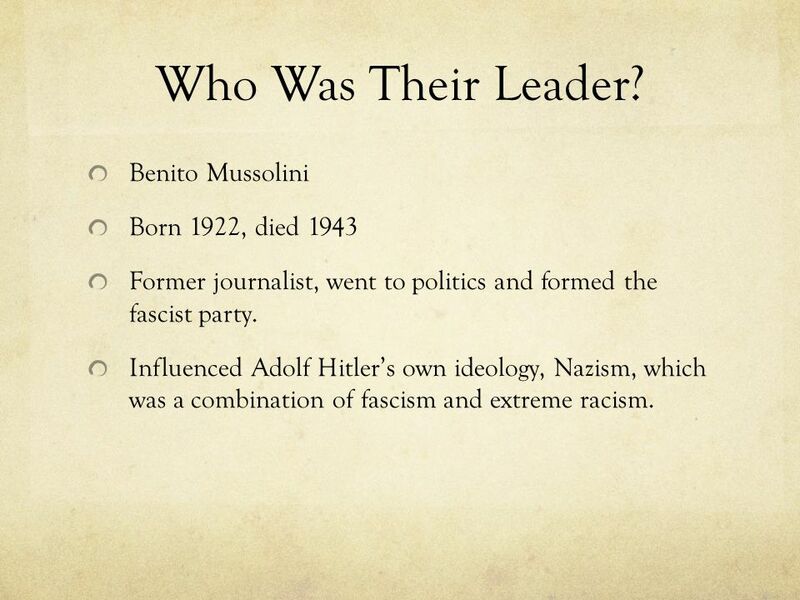 Benito Mussolini Born 1922, died 1943 Former journalist, went to politics and formed the fascist party. 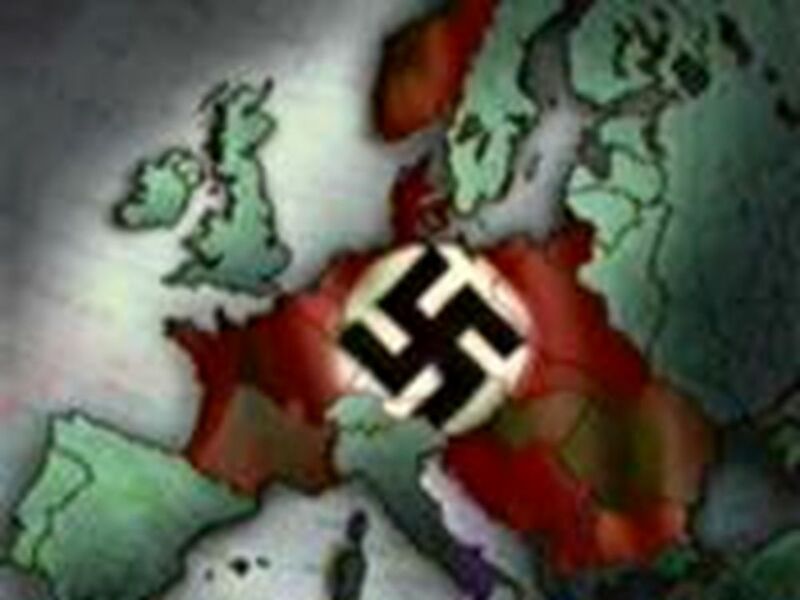 Influenced Adolf Hitler’s own ideology, Nazism, which was a combination of fascism and extreme racism. 22 The tiger tank The tiger tank is a tank used by the Russians army in ww2. 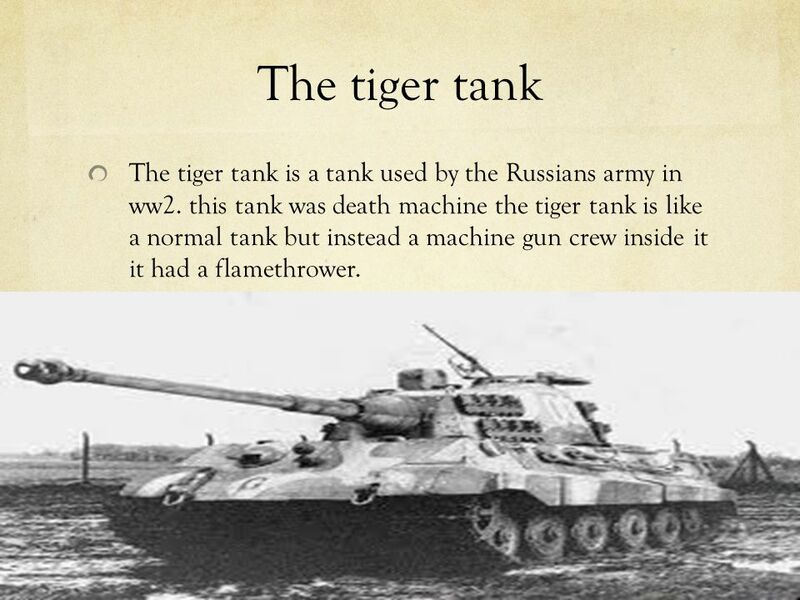 this tank was death machine the tiger tank is like a normal tank but instead a machine gun crew inside it it had a flamethrower. 23 The Thompson The Thompson is machine that was popular gun to used in ww2. 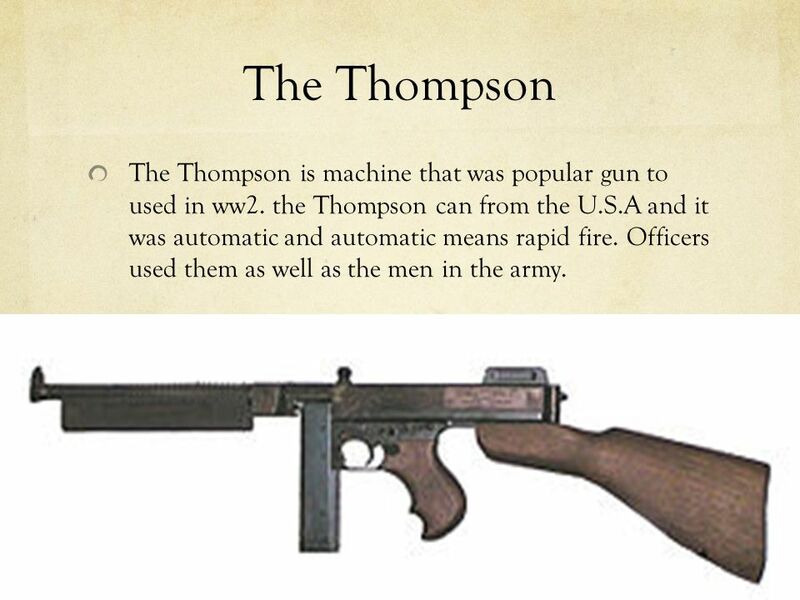 the Thompson can from the U.S.A and it was automatic and automatic means rapid fire. Officers used them as well as the men in the army. 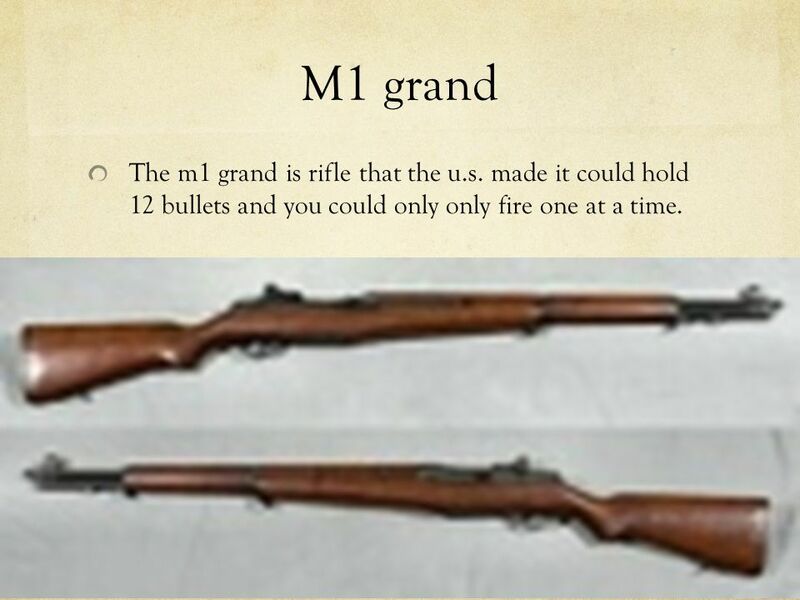 24 M1 grand The m1 grand is rifle that the u.s. made it could hold 12 bullets and you could only only fire one at a time. 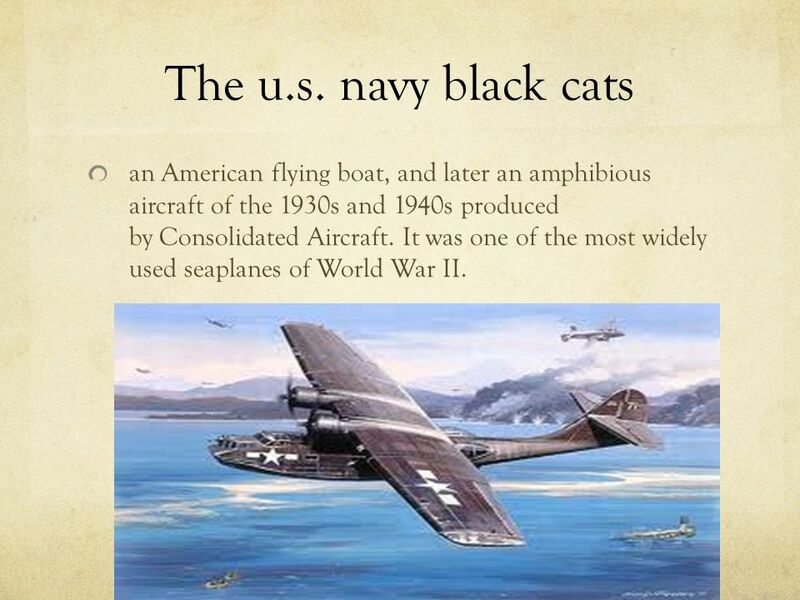 25 The u.s. navy black cats an American flying boat, and later an amphibious aircraft of the 1930s and 1940s produced by Consolidated Aircraft. 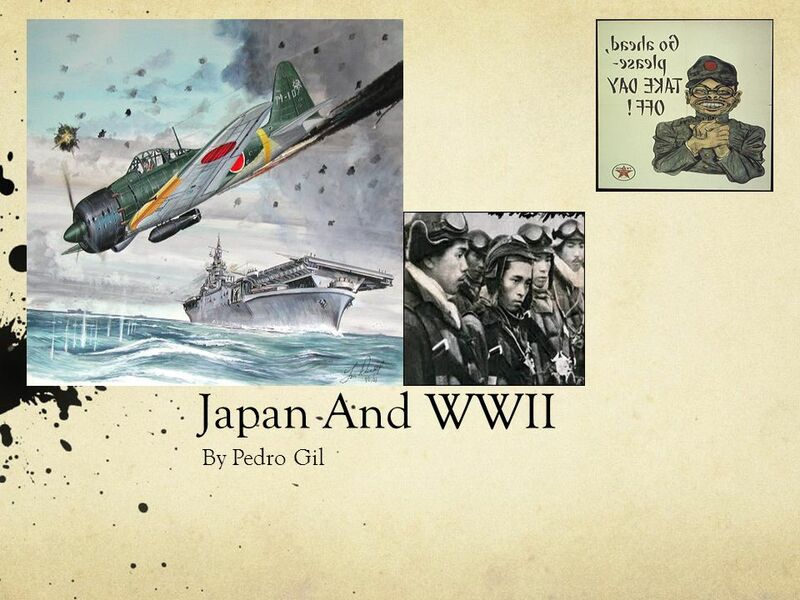 It was one of the most widely used seaplanes of World War II. 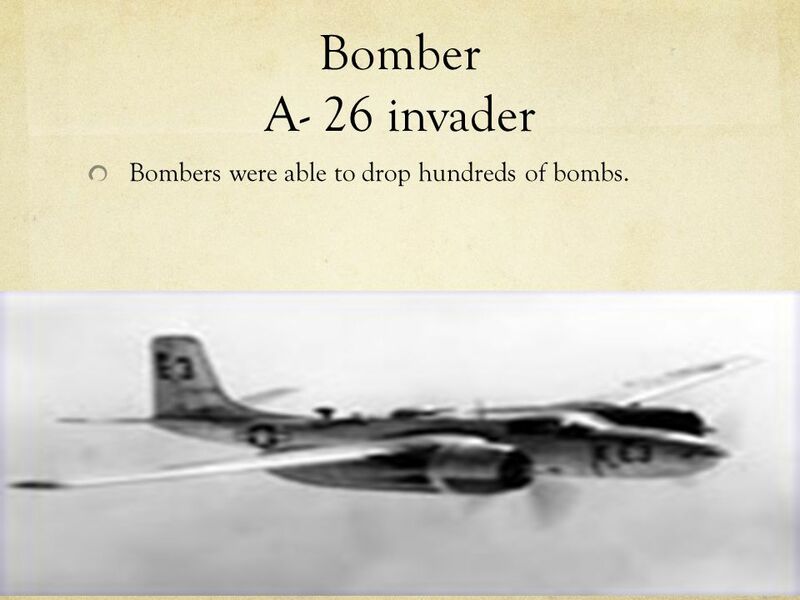 26 Bomber A- 26 invader Bombers were able to drop hundreds of bombs. 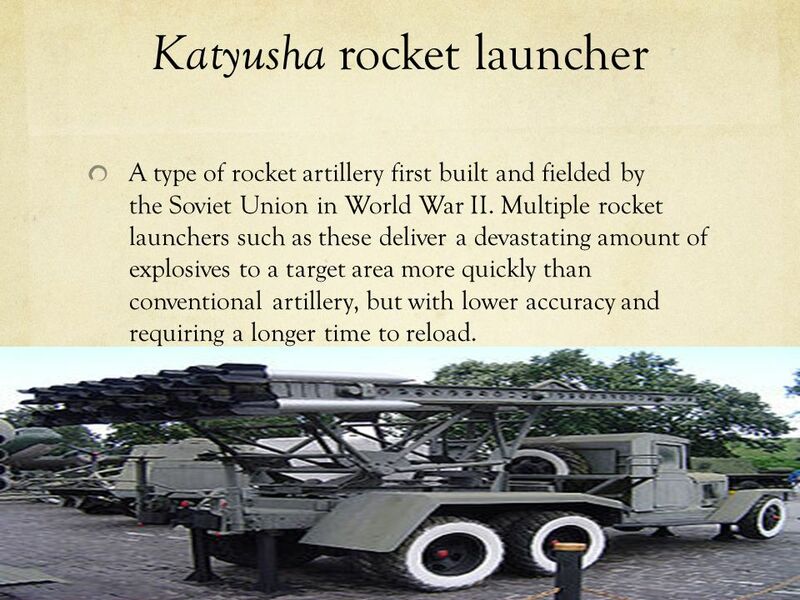 27 Katyusha rocket launcher A type of rocket artillery first built and fielded by the Soviet Union in World War II. Multiple rocket launchers such as these deliver a devastating amount of explosives to a target area more quickly than conventional artillery, but with lower accuracy and requiring a longer time to reload. 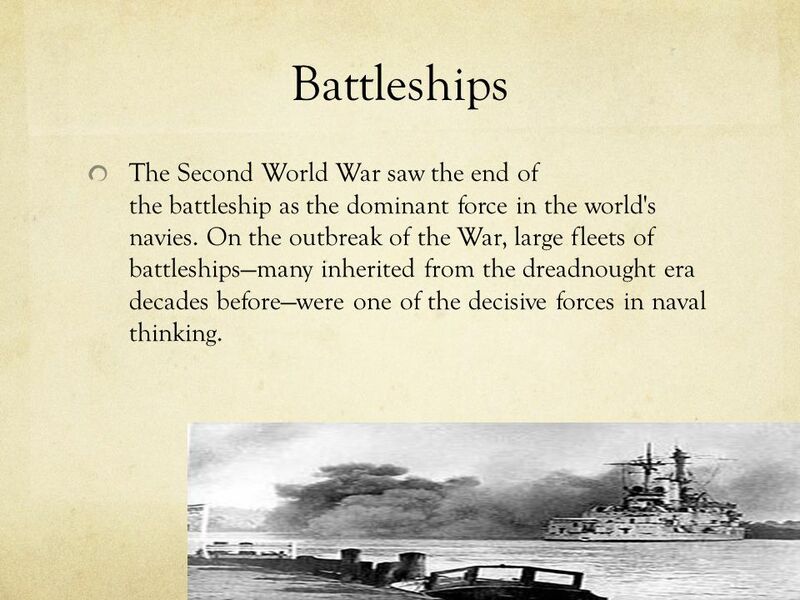 28 Battleships The Second World War saw the end of the battleship as the dominant force in the world's navies. On the outbreak of the War, large fleets of battleships—many inherited from the dreadnought era decades before—were one of the decisive forces in naval thinking. 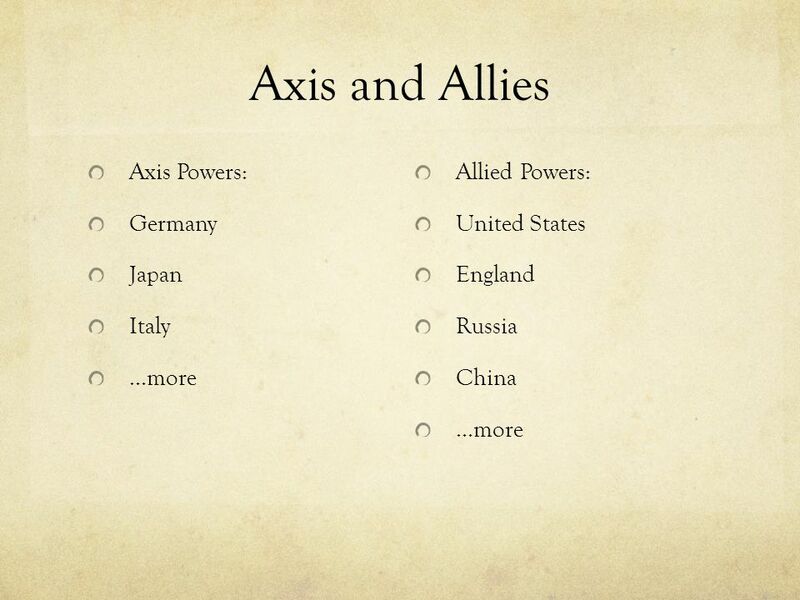 Download ppt "World War II Axis and Allies Axis Powers: Germany Japan Italy …more Allied Powers: United States England Russia China …more." Austria and Czechoslovakia Fall  1938, Hitler demanded that Austrian Chancellor von Schuschnigg appoint Nazis to government posts.  He agreed but changed. 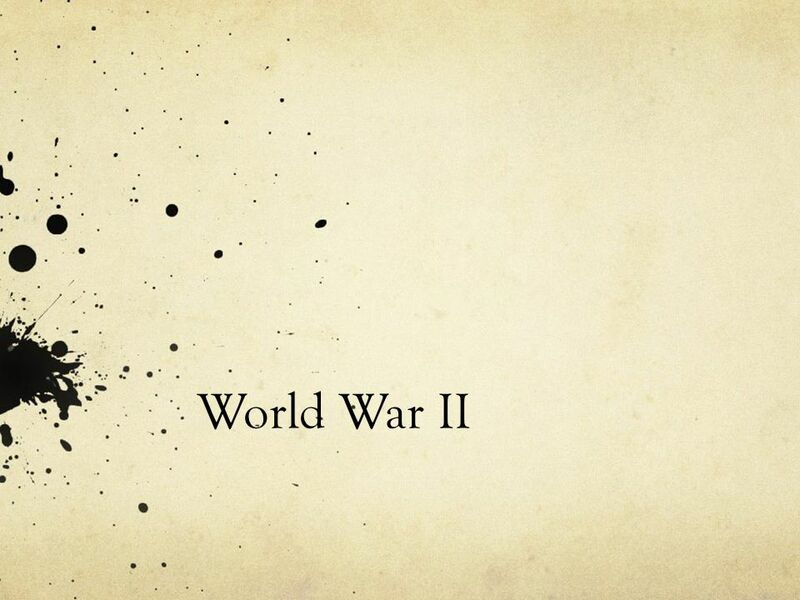 WORLD WAR II A timeline. 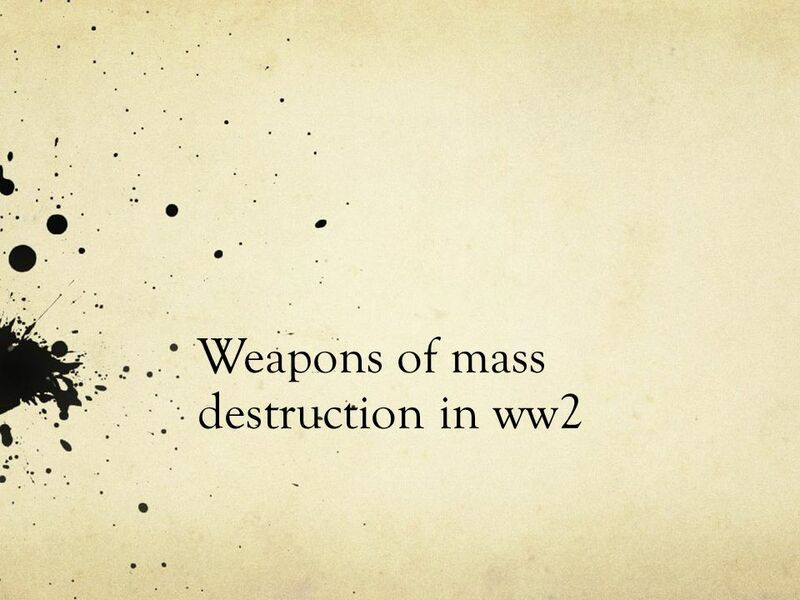 Just How Did WWII Get Started? By : Yajaira J Period 2. 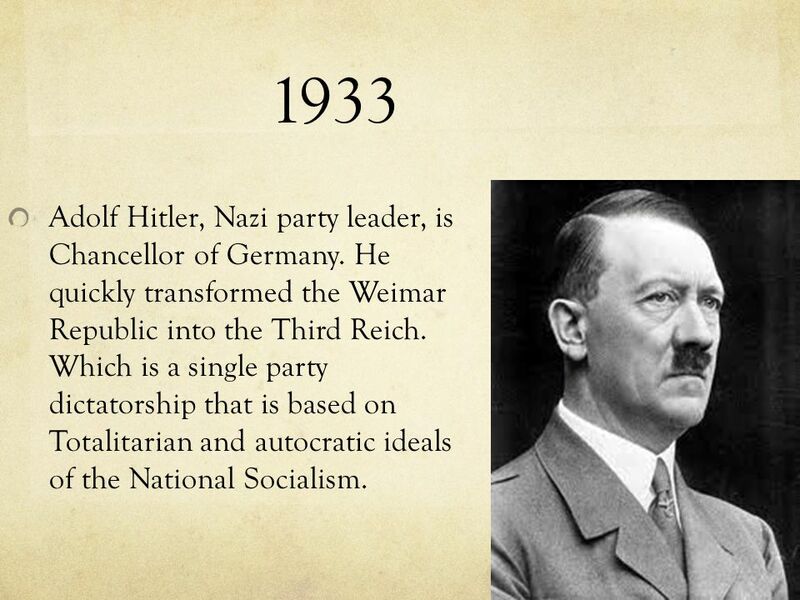 I. Hitler was born in Austria on April 20, II. Hitler had only one sibling that survived childhood, her name was Paula. 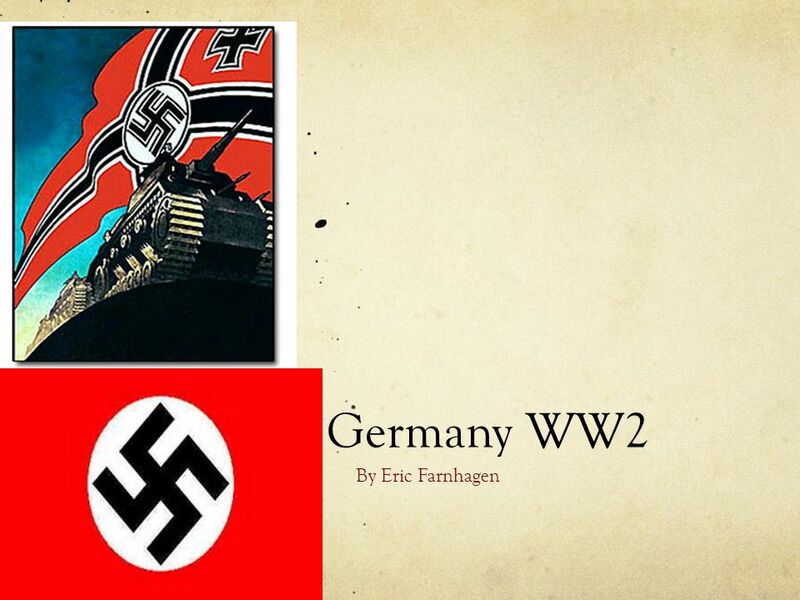 Agree/Disagree “Hitler could have been stopped before he invaded Poland on September 1st of 1939.” If you agree with this statement, go to the agree side. Agree/Disagree “Hitler could have been stopped before he invaded Poland on September 1 st of 1939.” If you agree with this statement, go to the agree side. I have Neville Chamberlain. 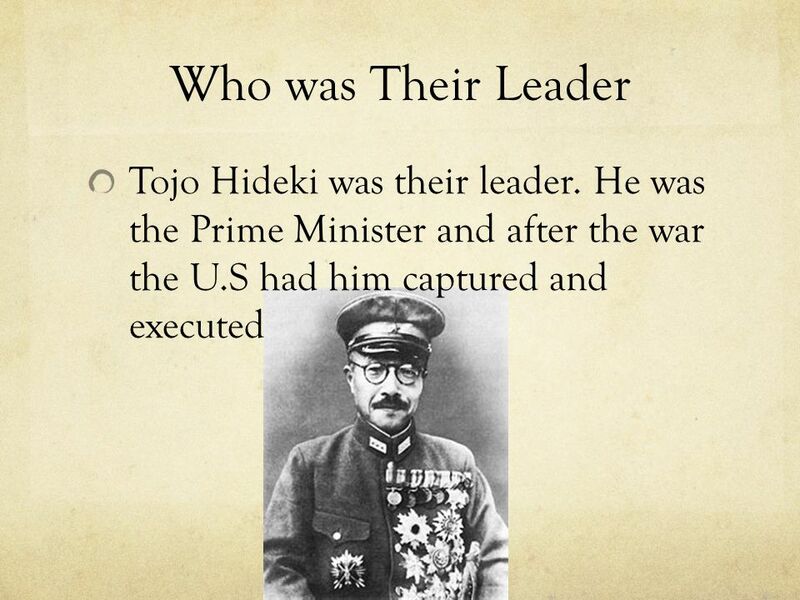 Who has the Prime Minister of Great Britain during most of World War II? I have Winston Churchill. Who has the president of.